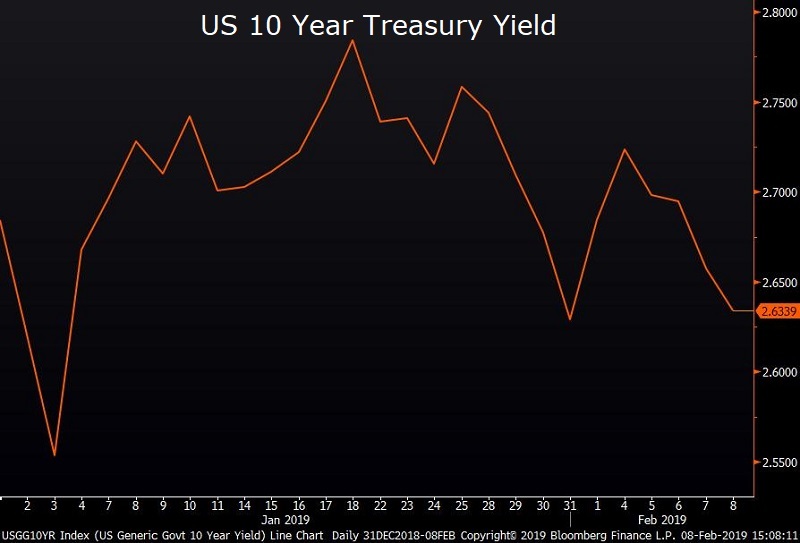 Swap rates and treasury yields fall as much as 3 basis points as global risks continue to loom large. Concerns about the global economy continue to grow as German industrial output declined for the fourth consecutive month and US-China trade talks fail to progress. Investors are increasingly worried that trade negotiators will not reach an agreement before their self-imposed March 1st deadline. Adding to the positive momentum in Treasurys, St. Louis Fed President James Bullard said that the central bank doesn’t need to raise rates any further to achieve its employment and inflation objectives. “Through its normalization program, the FOMC has already been sufficiently pre-emptive over the last two years to contain upside inflation risk,” he said. Markets are now pricing in nearly 30% odds of a rate cut by 2020, and a mere 0.3% chance of a hike. US equities mixed after sagging earnings estimates generate investor skepticism. 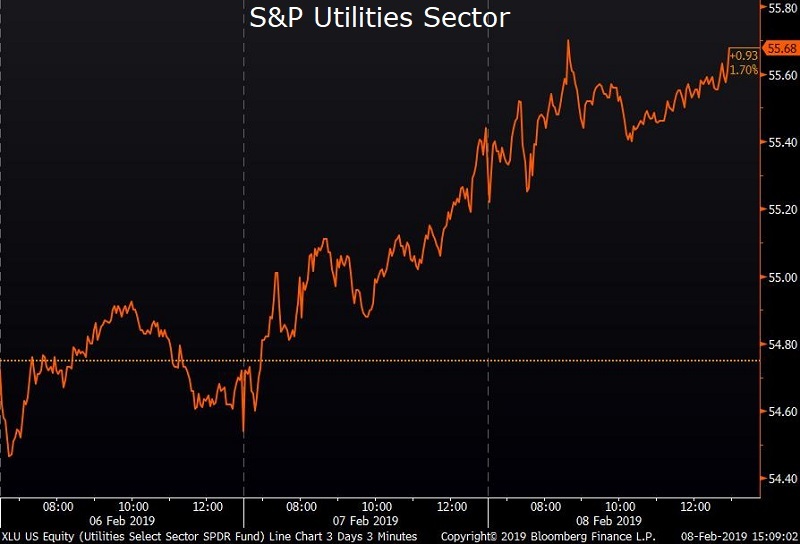 The remarkable rally to start 2019 has paused as financials, energy and consumer discretionary sectors dropped 0.4% on average. Telecom and utilities stocks were the lone positive sectors as investors sought refuge in companies with non-cyclical earnings. Ultimately, the S&P 500 closed up 0.07% while the Dow Jones Industrial Average slipped 0.25%. European Union refuses to renegotiate Brexit. Despite a mandate from parliament to renegotiate Brexits terms, UK PM Theresa May is unlikely to win any additional concessions. Donald Tusk, President of the European Council will not budge on the deal hammered out months ago- and has gone as far to say that “there’s a special place in hell” for the Brexiters without a plan. 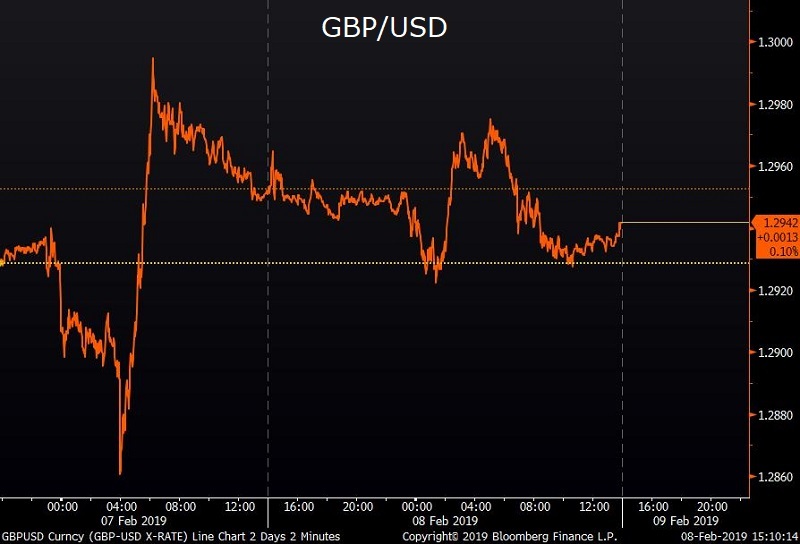 The British Pound weakened .08% on the day.